Ohio University Press, 9780821423479, 360pp. If modernism initially came to Africa through colonial contact, what does Ethiopia’s inimitable historical condition—its independence save for five years under Italian occupation—mean for its own modernist tradition? 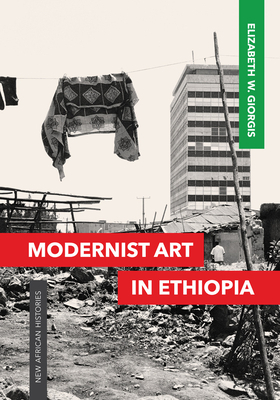 In Modernist Art in Ethiopia—the first book-length study of the topic—Elizabeth W. Giorgis recognizes that her home country’s supposed singularity, particularly as it pertains to its history from 1900 to the present, cannot be conceived outside the broader colonial legacy. She uses the evolution of modernist art in Ethiopia to open up the intellectual, cultural, and political histories of it in a pan-African context. Giorgis explores the varied precedents of the country’s political and intellectual history to understand the ways in which the import and range of visual narratives were mediated across different moments, and to reveal the conditions that account for the extraordinary dynamism of the visual arts in Ethiopia. In locating its arguments at the intersection of visual culture and literary and performance studies, Modernist Art in Ethiopia details how innovations in visual art intersected with shifts in philosophical and ideological narratives of modernity. The result is profoundly innovative work—a bold intellectual, cultural, and political history of Ethiopia, with art as its centerpiece. Elizabeth W. Giorgis is the former director of the Institute of Ethiopian Studies and the dean of the College of Performing and Visual Art of Addis Ababa University. She is currently an associate professor of critical theory and criticism as well as art history at the College of Performing and Visual Art and the Center of African Studies at Addis Ababa University.